My feature on autonomous vehicles is the cover story in this month’s Wired. You can find the story here. The last time I was in a self-driving car—Stanford University’s “Junior,” at the 2008 World Congress on Intelligent Transportation Systems—the VW Passat went 25 miles per hour down two closed-off blocks. Its signal achievement seemed to be stopping for a stop sign at an otherwise unoccupied intersection. 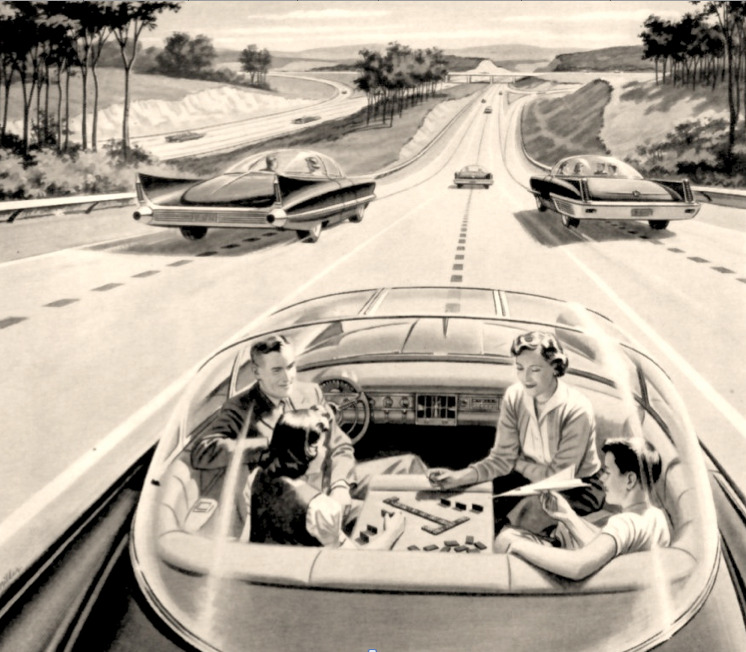 Now, just a few years later, we are driving close to 70 mph with no human involvement on a busy public highway—a stunning demonstration of just how quickly, and dramatically, the horizon of possibility is expanding. “This car can do 75 mph,” Urmson says. “It can track pedestrians and cyclists. It understands traffic lights. It can merge at highway speeds.” In short, after almost a hundred years in which driving has remained essentially unchanged, it has been completely transformed in just the past half decade. This entry was posted on Monday, January 23rd, 2012 at 9:54 am	and is filed under Cars, Cities, Commuting, Congestion, Uncategorized. You can follow any responses to this entry through the RSS 2.0 feed. Both comments and pings are currently closed.